I've seen many PowerShell scripts in my career. Fantastic ones and awful ones. But I have very very rarely seen scripts where proper logging has been done. Everyone seems to know write-output. The clever ones know write-verbose and write-warning. Some are really smart and write their own logging functions, allowing some level of customization. If you really want to show off with your logging, you need the full monty. You want screen logging, rolling log files with automated time-stamps and you want event viewer logging. Obviously, you want to have control of what and when. If you want professional logging, why re-invent the wheel in the first place. Microsoft wrote this dll ages ago and it does the job flawlessly. But you need to know how it works. It took me a very long time to have it configured correctly. I could post the code here, but do you really want to see it ? I've made you a nice module. Just copy it to your modules and you should be all set. Ah, you do like a manual huh... here it is. PS C:\jumpstart\wfaguy> Write-LogTitle "This is a nice title"
PS C:\jumpstart\wfaguy> Write-LogInfo "This is a message"
PS C:\jumpstart\wfaguy> Write-LogWarning "Watch out!" PS C:\jumpstart\wfaguy> Write-LogError "Ouch, that wasn't ok"
Exception             : [System.Management.Automation.CommandNotFoundException: The term 'this_is_going_wrong' is not recognized as the name of a cmdlet,  function, script file, or operable program. Check the spelling of the name, or if a path was included, verify that the path is correct and try again. Awesome right ? Now I can hear you think... That's it ? This guy is nuts. But... read on. Watch what happens, if you initialize the logger... Note that I have added help in the code, get-help is your friend. PS C:\jumpstart\wfaguy> Initialize-Logger -LoggerName "WfaGuy"
PS C:\jumpstart\wfaguy> Write-LogVerbose "This is a verbose message"
PS C:\jumpstart\wfaguy> Write-LogError "Oooh, that hurts"
2016-12-09 18:51:37,116 WARN  WfaGuy : Watch out! Like that already ? Watch the eventlog ! Now, if the eventviewer doesn't show anything, first check your EventLevel setting, because default is set to "Warn", when you initialize. But second, the "eventsource" can only be created with administrative privileges, so first time to log the eventview, run your PowerShell as "administrator". You want to set the eventid ? Well, how about this, all the logging functions support parameters "eventid" & "category". I already use this in my WFA code as well, adapted with the Get-WFALogger built in. so, I initialize a logger for a source like "TestApp" with powershell run as admin. Now, when I schedule the script to run every night at 3 AM, how can I log to the previously initialized logger "TestApp"? You just initialize again. Just do it once in each powershell session. It will reuse the same logfile. The initialized is just initializing the log4net.dll, nothing more. I always use log-append, so no worries there. the log file is created where your master script is. Have you tested this on Windows Server 2012 R2? I can't get it to work. Works like a charm when I start PS as admin, but initializing it in a non-admin session and performing a Write-LogError does not show in the eventlog. Well, I've been using this code for quite a while. Agreed, I just recently put it in a single module, but I haven't had any issues. As the article says, the first time you must run it as admin, that's for the eventsource to be created, but afterwards it works find without "run as admin". obviously you need write access to the log and I guess you would need some rights to write to the eventlog. Maybe you need to set-executionpolicy unrestricted ? PS : Just checked : By default, any authenticated user is able to write to application event log. However only administrators can create new event Sources. So it should work as advertised. I have a question, I can see event viewer entries for Warnings and Errors, however, Information level events are not showing up. I feel like I am missing something? Hey, yes that's correct. The default eventlevel is set to "warn", assuming you only want to log there when something is wrong. When you initialize the logger, you can set the eventlevel. for example : Initialize-Logger "WfaGuy" -logLevel debug -eventLevel info. Thanks for providing a simplify method for logging. 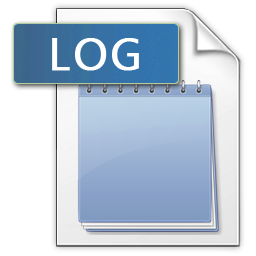 Though when i write the command Initialize-Logger -LoggerName "Logging" . It generates the error "Property 'EventId' cannot be found on this object. Verify that property exists and can be set." Also the "Logging" file gets created but unable to write any data if i use any warning or error commands.